Deborah J. Ledford. Crescendo. Kernersville, NC: Second Wind Publishing, 2013. Inola Walela should be a happy woman. 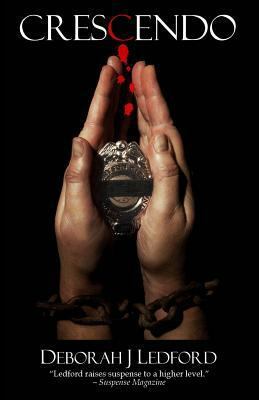 She has established herself professionally as a officer in the Bryson City police department, and as this novel opens she is about to receive a medal of honor for her role in taking down a killer who was wanted in three states. Her personal life is on the upswing too. Her romance with Swain County Sheriff Steven Hawk has progressed to the point where the two are living together. Despite some differences over housecleaning, they seem to be a good match. But still, Inola worries. She is not at ease with Steven’s family, who live nearby, and she doesn’t know how to tell Steven that she can’t have children. Also, the alcoholism in her family haunts her, and she feels somewhat isolated professionally–always a little insecure despite her achievements and unable to confide to her colleagues. Her new partner, Cody Sheehan, looks up to her, but he is green and a bit of a hothead. Inola likes him, but she does not have a great deal of confidence in him. Lori Traeger adds to Inola’s insecurity. The good-looking redhead, newly appointed to the police force, is the niece of the chief. Since the Bryson City force is so small, Inola worries that she will be pushed aside to clear a path for Lori to rise in the department. With all this on her mind, it is no wonder that Inola goes off track when a traffic stop goes very wrong. In a flash what Cody and Inola thought could be an abduction turns into a firefight and a traffic fatality that leaves two dead and Cody barely clinging to life. One of the dead is a woman who as she was dying, begged Inola to find her kidnapped son. Inola is placed on administrative leave, but thoughts of that little boy push her to investigate the circumstances of the dead woman’s life. But Inola fails to recognize that the person who is most helpful to her–and most attuned to her feelings–is the person responsible for all the death and trauma. This taut, well plotted novel is the final book in the Steven Hawk-Inola Walela supense series. Click to see information about the first and second novels in the series. C. Leah Wetherby. 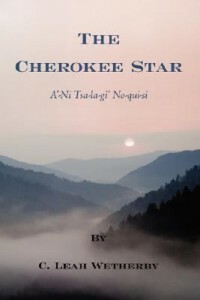 The Cherokee Star. Bloomington, IN: AuthorHouse, 2007. Three months ago, Celine lost her beloved adoptive parents in a terrible car accident. Now that the estate is finally settled, she lets her best friend Irene convince her to take a small vacation. Together, the friends plan a trip to North Carolina’s Great Smoky Mountains. Full of excitement, they head out with their partners Mark and Marsh for some relaxing fishing, camping, and swimming. But Celine, known to her friends as “C”, will find little rest on this fateful vacation. Celine’s parents found her at the age of four, traumatized and sitting in a canoe on the Oconaluftee River just outside of Cherokee, North Carolina. They brought her immediately to the Sheriff’s Department in Birdtown (a small township in the Qualla Boundary) and eventually adopted her there. Incredibly, Celine and her friends have ended up camping on the outskirts of Birdtown, and the twice-orphaned young woman decides that now is the perfect time to look into her past. The recurring nightmares she thought she had banished as a child have returned with a vengeance since her parents’ deaths, and Celine is beginning to think that it might not be just a result of grief and stress. This suspicion that the past is returning to haunt her strengthens when strange things begin to happen: Celine and her friends have the sense of being watched, animals are behaving oddly (a hawk follows Celine, appearing to guard her from danger), and a Cherokee called Tracker shows up in their midst. Will Celine ever discover her true identity? And what if finding her heritage means that she will lose it all once more? Horace Kephart. Smoky Mountain Magic. Gatlinburg, TN: Great Smoky Mountain Association, 2009. 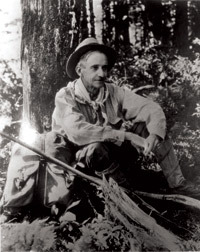 Horace Kephart, known as one of the fathers of the Great Smoky Mountain National Park, was a prolific writer and naturalist. He is well known for his nonfiction works on camping and the inhabitants of the southern Appalachians, but it was not until 2009 that his great- great-granddaughter and her husband were able to publish his long-lost novel, Smoky Mountain Magic. Originally written in 1929, the novel draws deeply on Kephart’s years of experience living in and wandering through the Smokies. It’s 1925, and a young man from New York arrives on the outskirts of Kittuwa (Bryson City) in the Smoky Mountains. John Cabarrus has been away for fifteen years, but has finally returned to claim the land that is rightfully his. But his property is still in possession of the wicked W. G. Matlock, the greedy businessman who stole it from Cabarrus’ grandfather, so John must keep his intentions secret. Unfortunately, a local troublemaker sees Cabarrus on the property, possibly panning for gold. Matlock finds out, and goes after the prodigal son with a vengeance. Marian Wentworth, a young woman visiting relatives in Kittuwa while on holiday from college, is immediately drawn to the mysterious, handsome Cabarrus. She soon discovers his family’s sad tale, and Cabarrus tells her the whole truth- he isn’t searching for gold, but for beryllium, uranium, and other mineral deposits in high demand as science advances. If he can find enough, his career and fortune will be made and he can regain his grandfather’s prized land from the scheming Matlock. Marian is determined to help, so the two young people search the mountains together for this precious treasure. Along the way, they encounter witches, the Little People, gum-chewing teenagers, mythical beasts, ornery dogs, the Cherokee, and magical crystals. In this fascinating glimpse into the colliding cultures of the Roaring Twenties and the still wild back woods of the Great Smoky Mountains, Horace Kephart has written a masterful portrayal of the mountain folk, the Cherokee, and the land itself. Readers of adventure, natural science, and early twentieth century literature will all be delighted. Check this title’s availability in the UNC-Chapel Hill library’s catalog. Marian Nichols. House of Riddles. New York: Xlibris, 2007. Raven and Shane Hawkins are newlyweds honeymooning near Boone, North Carolina when they see an advertisement for a dilapidated mansion. Curious and feeling spontaneous, the couple travel south to Swain County, where they purchase the estate for a mere $6500. As their families visit and they explore the house, it quickly becomes clear that something isn’t right. There are odd noises and phone calls, an hour sometimes passes but only feels like a few minutes, and strange shapes and shadows appear. When Raven finds a mysterious parchment containing indecipherable writing hidden in one of the doors, she knows she must call her great-grandfather, Blackfox, to help her and Shane solve the puzzle. A full Cherokee, Blackfox is an ancient and wise person, although he struggles with broken English. Blackfox realizes immediately that the mansion is a holy place, and is filled with restless spirits. With her great-grandfather’s help, Raven and Shane uncover secret chambers and passages, finding treasure along the way. Unfortunately they also find bodies, which Blackfox declares explain their ghostly encounters. A homeless man called Rusty arrives at their door looking for the former owners of the house, and Shane and Raven take pity on him, inviting him to stay. But Rusty’s presence only increases the strange phenomena, and as the newlyweds uncover more about the violent history of the mansion, Raven also uncovers more about her Cherokee family’s sad past, acting as a translator for the spirits of those long gone. Featuring many surprises and thrills, including an actual raven with the power of speech, this novel engages in an interesting characterization of the Cherokee. Check this title’s availability in the UNC-Chapel Hill catalog. Deborah J. Ledford. Snare. Kernersville, NC: Second Wind Publishing, 2010. Steven Hawk and Inola Walela, Swain County’s best police detectives, are back in Deborah J. Ledford’s sequel to 2009’s Staccato. This time, they have bigger problems than a crazed sociopath. Katina Salvo, a young Native American emerging as the next musical megastar, is coming to Bryson City, North Carolina to perform her first live concert ever. Unfortunately, at the root of her fame lie two ominous figures determined to seek her out and silence her music forever. One, recently released from prison for a brutal crime against Katina’s family, wants to finish the job. What motivates the second is more uncertain, but no less deadly. Hawk, plagued by the demons of a recent tragedy, is determined to protect the singer no matter the cost. But when he and Katina are brutally attacked on the night of the performance, it is clear that the cost may be his life and everything he holds dear. Ranging across the United States from Nebraska to California to North Carolina and finally the Taos Pueblo Indian Reservation in New Mexico, this gripping thriller turns on themes of family, race, and the great courage necessary for us to make our own destinies. Due to some scenes of violence and sexuality, this book is recommended for older teens and adults only. Big Adam. Kill. New York: iUniverse, 2007. Most teenagers who have grown up in a small community dream of moving away and seeing the world. Leaving rural Cherokee in western North Carolina is all that Amy, Carmen, Fred, Jason, and Mike think about. In a few months they will graduate from high school, move west, and leave their parents’ strict rules behind. This desire becomes more of a reality when Mike reveals to the group that he is the sole beneficiary of a friend’s life insurance policy. If they agree to help him murder Joseph, a youth pastor, Mike will split the $50,000 policy with his accomplices. Although the two were close when Mike was a freshman and Joseph was a senior, they eventually went their separate ways. Mike resents Joseph’s encouragement to live a Christian life. Seeing this as their best way out, Mike’s friends eagerly agree to assist him. Carmen, an atheist, dislikes Joseph for pushing his views on others; Amy, Mike’s girlfriend, only wants to please him; and Fred and Jason are simply bored and looking for action. They meticulously plan the brutal torture that they will commit, buying weapons and staking out an appropriate place. They also prepare a camera so that they can record the horrific scene. Although the group feels pleased in the days after the attack, their scheme soon begins to unravel. They learn that upon becoming engaged, Joseph removed Mike’s name from his policy; the murder was in vain. A classmate inadvertently witnessed the crime. And Amy’s mother found the tape that documented the gruesome episode and she turned it into the police. The pressure of these developments lead the five begin to turn against each other. As the cops close in on them, it becomes clear that more than one life was ruined as a result of their plot. The torture scene, described a few different times throughout the novel, is especially graphic. Deborah J. Ledford. Staccato. Kernersville, NC: Dagger Books, 2009. Millionaire Alexander Kalman is a master manipulator who thinks that he can settle all of his problems by having people removed. Elaine, his niece, has become too much of a distraction for his protégé, Nicholas. As a world-class pianist, Nicholas provides Alexander with everything that matters most to him – money, fame, and glory for the family name. Although they are not related, Alexander convinced his sister (Elaine’s mother) to adopt Nicholas, giving the boy their surname and covering up Nicholas’ parents’ deaths. When Nicholas discovers the truth of his father’s disappearance, he and Elaine make plans to escape. However, before they can get away, Alexander orders Elaine killed, forcing his servants to do the dirty work. He then charges Timothy, a less-favored piano student, with the task of disposing of the body. When Timothy alters the plans with the hope that it will impress Alexander and incriminate his rival, he jeopardizes the clean cover-up. Nicholas, now aware of Elaine’s death, is distraught and eager to avenge the senseless murder of his beloved. What follows is a terrifying game of cat and mouse. Alexander has loyal employees who will do anything that he wants, but he realizes that he is loosing control of Timothy. Plus, Elaine’s mother has asked the sheriff’s department to investigate her daughter’s disappearance. 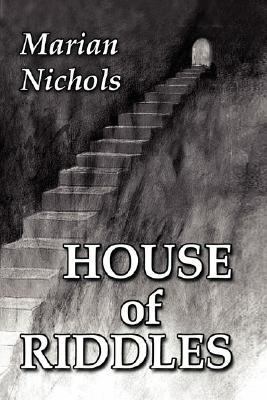 Deputy Sheriff Steven Hawk is given the case, and it is his diligence, plus Nicholas’s desire to live his own, true life, that is Alexander’s undoing. Lawrence Thackston. The Devil’s Courthouse. Baltimore: PublishAmerica, 2010. These words, from forest ranger Lem Astin, are a light-hearted understatement. In the spring of 1974 several grizzly murders occur in Great Smoky Mountains. The bodies are so horribly mutilated that police and locals initially believe that bears are responsible for the attacks. As the body count rises, authorities take ever more extreme measures–killing bears within thirty miles of camp sites, closing the national park, shutting down a section of the Blue Ridge Parkway, and mishandling an attack on Cherokee lands. Park rangers Nic Turner and Cole Whitman are skeptical of the bear theory. So too are some older members of the Cherokee community. Cherokee elders know the story of Tsul-kalu, a ferocious giant who lives in a cave on top of the Devil’s Courthouse, a rock formation in Transylvania County. Cole’s skepticism is based on something more personal–a family tragedy and the torment he carries within himself. It will be locals, not outside authorities, who are able to stop the killings. Melissa Hardy. Broken Road. Holstein, ON: Exile Editions, 2009. Cherokee mythology includes the legend of the ulunsuti, the powerful transparent stone taken from the forehead of an enormous horned serpent, an uktena. Anyone in possession of the ulunsuti has vast power, enjoys great strength, and can find unknown, beautiful places; however, custody of the magical crystal can be both a blessing and a curse. Keepers of the stones are expected to pass them down to members of their families, keeping the whereabouts of the stones a secret. In Broken Road Melissa Hardy follows the story of the individuals who possess the ulunsuti in Qualla, which is located in southwest North Carolina near the Great Smokey Mountains. Starting with Groundhog’s Mother, members of his family find the benefits and troubles associated with the ulunsuti. For example, his descendants who hold the stone find great business success when they use practices of the white traders. However, there is also much heartbreak within their families, and many of the men turn to alcohol. One feature of possessing the ulunsuti is being able to see into the future, which means anticipating the violent relocation of the Cherokee people to Oklahoma in 1838. As the ulunsuti is passed down generations, relationships evolve with white individuals such as Miss Sawyer, a schoolteacher whose Christian beliefs are challenged when she decides to move to Qualla and is given the stone. Although the Cherokee are forced to leave their homes, their traditions remain in tact and they stay true to Eloheh, their word for land, history, culture, and religion. Lois Gladys Leppard. The Mandie Collection, Volume 1. Minneapolis, MN: Bethany House, 2007. This volume contains the first five books in the Mandie series of children’s books set in the early 20th century. The main character, Amanda “Mandie” Shaw, lives in the Nantahala Mountains with her family, where she goes adventuring and solves mysteries. In the first few books, Mandie is helped by her best friend Joe Woodward. She meets another helpful pal, Celia Hamilton, after she is sent to boarding school in Asheville. Mandie’s cat, Snowball, also makes frequent appearances in the books. Recurring themes in the books are Mandie’s attempts to behave properly, her Christian faith, and her partial-Cherokee background. Titles included in this volume include: Mandie and the Secret Tunnel, Mandie and the Cherokee Legend, Mandie and the Ghost Bandits, Mandie and the Forbidden Attic, and Mandie and the Trunk’s Secret.